Tickets are on sale now! Buy them here. The 2019 auction event will honor and pay tribute to the iconic Ursula Nordstrom, Senior Vice President and Publisher of Harper Junior Books at Harper & Row, for her role in the great history of children’s books. Nordstrom nurtured authors and illustrators such as Margaret Wise Brown, Ruth Krauss, Maurice Sendak, Shel Silverstein, Tomi Ungerer, and E. B. White. This year’s Honorary Chair is celebrated artist LeUyen Pham! We are currently accepting art donations from children’s book artists. See details here. Join us at the Javits Center South Concourse on Wednesday, May 29 from 5 to 7:30! Tickets will be on sale in April! This event benefits two important organizations: the American Booksellers for Free Expression (ABFE) and Every Child a Reader. Both organizations exist to promote the freedom and joy of every child and teen to read any book they want, and to support booksellers, librarians, teachers, and parents in their daily work to do the same. The American Booksellers for Free Expression (ABFE) is the bookseller’s voice in the fight for free speech. Its mission is to promote and protect the free exchange of ideas, particularly those contained in books, by opposing restrictions on the freedom of speech; issuing statements on significant free expression controversies; participating in legal cases involving First Amendment rights; collaborating with other groups with an interest in free speech; and providing education about the importance of free expression to booksellers, other members of the book industry, politicians, the press and the public. Every Child a Reader is a 501(c)(3) literacy charity dedicated to inspiring a lifelong love of reading in children and teens across America. 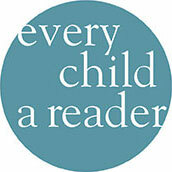 Every Child a Reader’s popular national programs include Children’s Book Week (May 1-7, 2017), the longest-running literacy initiative in the country; the Children’s & Teen Choice Book Awards, the only book awards chosen by children and teens; and the National Ambassador for Young People’s Literature program in partnership with the Library of Congress. Individual and corporate donations, grants, and the CBC support Every Child a Reader. Thank you to our event partners, The American Booksellers Association and the ABC Children’s Group. We are so grateful to all of the artists who donated their amazing work to the auction. A special thanks to Susannah Richards, art coordinator extraordinaire! See information about past Art Auctions and other archives here!